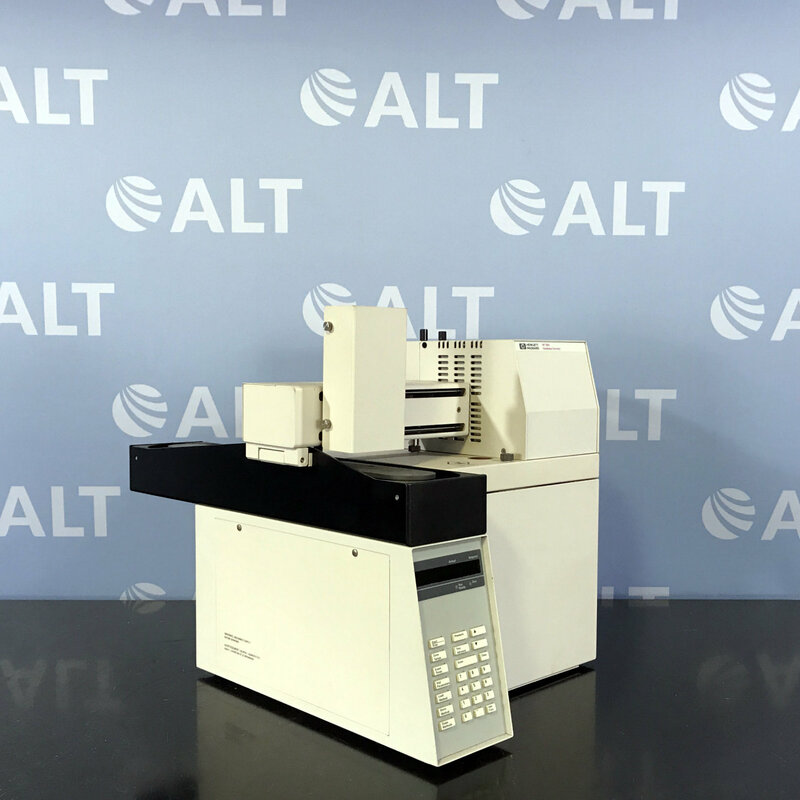 The Hewlett Packard HP/Agilent 7694 Headspace AutoSampler Model G1290A can eliminate sample preparation by letting you introduce volatile components automatically from virtually any sample matrix directly into a GC. 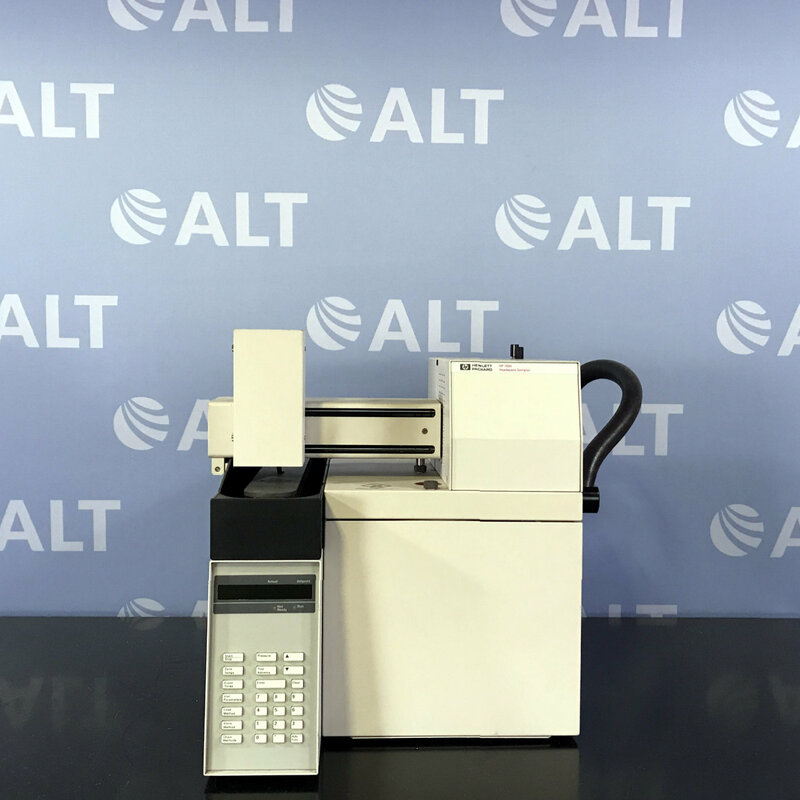 - Integrates seamlessly with HP/Agilent GCs. - Can eliminate sample preparation by letting you introduce volatile components automatically from virtually any sample matrix directly into a GC. - Features a highly inert path from the vial to the GC column head to prevent sample absorption, improve peak shape, maintain sample integrity, and enhance sensitivity. - Overlapping sample processing; automatic parameter increments for easy method development. 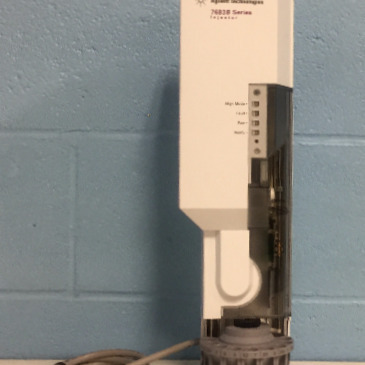 - Up to 10 headspace extractions per vial. - Two levels of vial agitation.